You asked for it, you have it: announcing the Modern Quilters of Ireland quilt along! 2013 seemed to be the year of the medallion quilt, which really got my creative juices flowing. Although there were several gorgeous patterns circulating, like the Marcelle Medallion or Made to Measure, they were not well suited to my quilting interests. I really do not like using templates and flying geese make my heart clench. I had to find another way to create one myself. 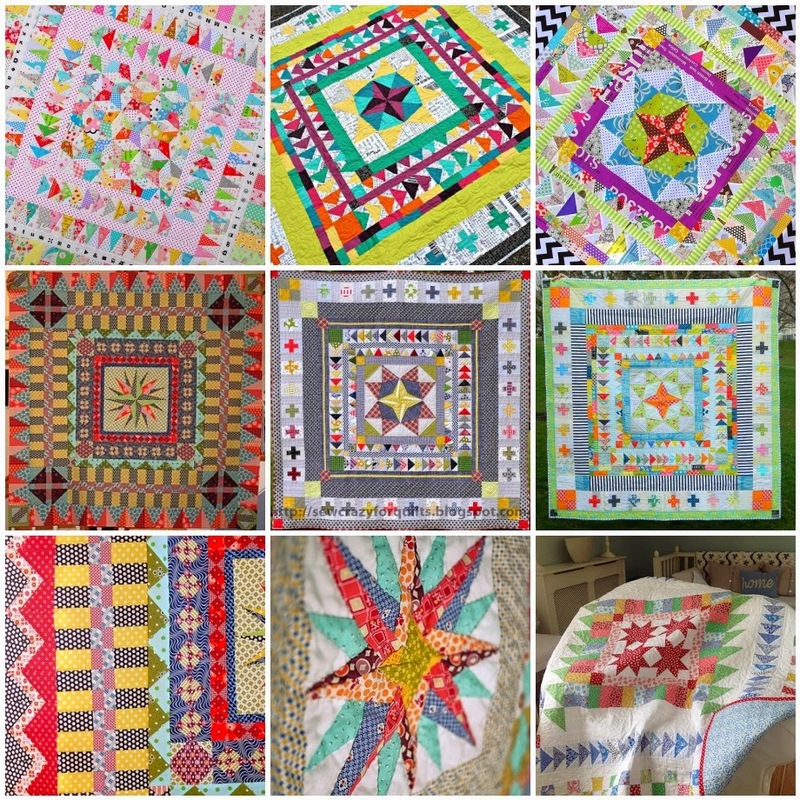 I started to do a bit of online research to find example medallion quilts that I loved, looking both at the design of the borders as well as the fabrics used. I created a little inspirational mosaic...that I ogled time and time again when daydreaming of my own medallion quilt. I've been looking long enough. It's time to stitch! What if we, as a guild, could create medallion quilts together? Are you interested in stitching along with me? I found a wonderful series of tutorials by Catbird Quilts that we can use together. These tutorials are set up so that we can each create our own individual medallion quilt (depending on our skill level) using Catbird Quilts tutorials on the design-as-you-go process. Melanie (the brains behind Catbird Quilts) gives two paths to follow in each tutorial. One path (for beginners) will give block/border measurements for the center square and then for each border. Alternatively, you can take path two (more advanced) and design your own quilt using Melanie's suggestions on size ratios, etc. Melanie explains it much better here, so please do click over and read her first post. First, read this post to get the basic idea of this QAL. I know this is something that each and every (interested) member of our guild can do to their own skill level AND we can have a great time stitching together, drawing inspiration from one another and learning as a collective group. Second, search through your fabric stash (or go shopping...what ever makes you happy) and find a palate for this quilt that makes your heart flutter. Scrappy is most likely best as we don't exactly know how much fabric we will each need. Third, if you have not already done so, join our Flickr group so that we can all keep updated on each other's makes. Finally, come back here in two week's time for a linky party. By 5 February you should have A) a gorgeous fabric pull to share with everyone and B) an inspirational mosaic for your first central block of your quilt. If you've started stitching, that's even better. Show us what you've made in your own blog post and leave us a link to check it out! We will then take each additional border as it comes with shorter intervals between linkies for the first, smaller borders and then giving ourselves more time for the larger outer borders. If you're into books, I picked up a few inspirational books including border patterns that could be adjusted depending on the project. 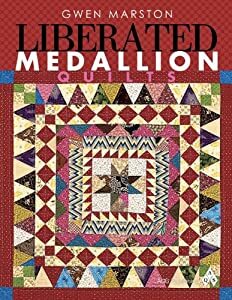 Liberated Medallion Quilts by Gwen Marston is quite inspirational with a WIDE variety of eye candy quilts to keep me interested each step along the way. And then Gwen's co-authored book with Freddy Moran, Collaborative Quilting, hit the mark with lots and lots of border ideas that can be scaled depending on the project. Super! 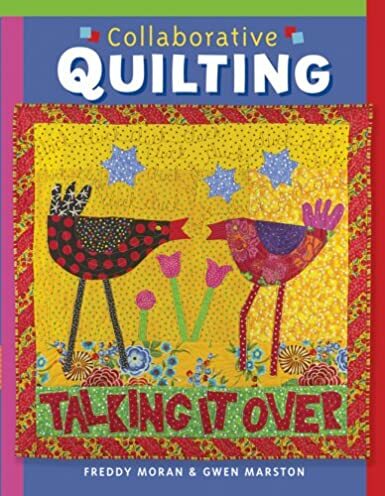 You can read my Collaborative Quilting book review here if you'd like.